Not everyone will get the even-numbered vehicles in BMW’s ‘X’ SUV range. They’re always more expensive than the odd-numbered equivalent, yet offer less practicality. 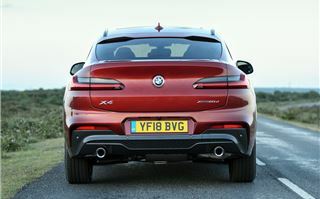 The BMW X6, for example, is a less practical alternative to the X5, while the X2 is a sportier (and therefore not as spacious) version of the X1 on which it’s based. 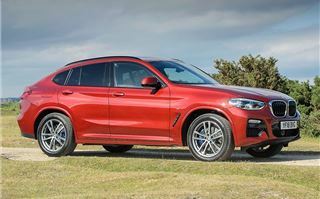 First impressions of the X4? Well, once you get over the monstrous appearance (some may like it), it’s essentially a slightly sportier X3. 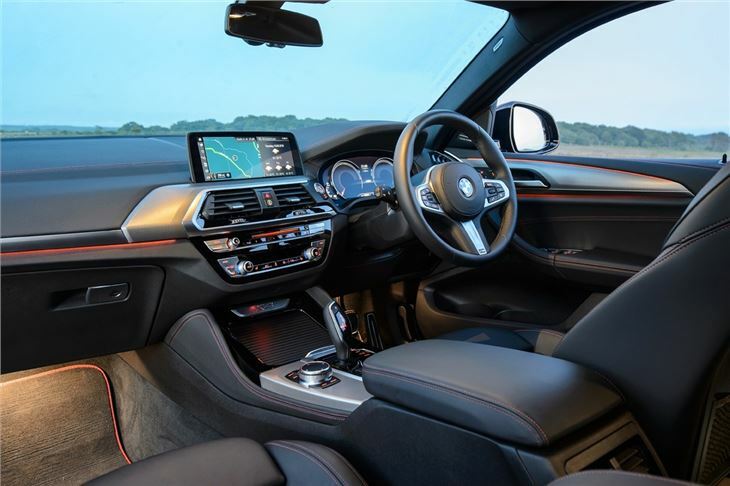 That means it gets an upmarket interior, although BMW is persevering with button overload and a variety of clashing materials competing for the driver’s attention. Once you’re used to the slightly messy dashboard, the X4’s cabin is fine. It feels premium, and everything is logically laid out. An advantage of that button overload means, once you've learned where everything is, you can easily access functions such as the air conditioning without having to trawl through menus in the infotainment system. There’s a reasonable amount of space, but you’d be better sticking with the X3 if you put substance over style. The X4’s sloping roofline means you lose a bit of luggage space compared to the X3. But it’s not as much as you think - just 25 litres (525 vs 550). Obviously, the seats fold down should you need more space, and the height of the load bay might make loading heavy items tricky - but that’s an issue that afflicts all SUVs. Headroom in the rear isn’t as good as the X3 but it's fine for most passengers plus legroom is adequate. Drive away and the X4 initially feels quite big. That’s possibly because of the large rear flanks in the door mirrors combined with a big bonnet that’s out of view for the driver. You also sit ever-so-slightly lower in the X4 than the X3, with the intention of making it feel sportier. As you'd expect from a BMW with a sporty edge, the X4 drives pretty well. The brand’s xDrive four-wheel-drive system is standard on all models and it really helps the X4 grip the road through bends. It’s never particularly exciting, with feedback through the meaty steering wheel lacking, but once your confidence builds, you'll feel a sense of invincibility even in less-than-perfect road conditions. 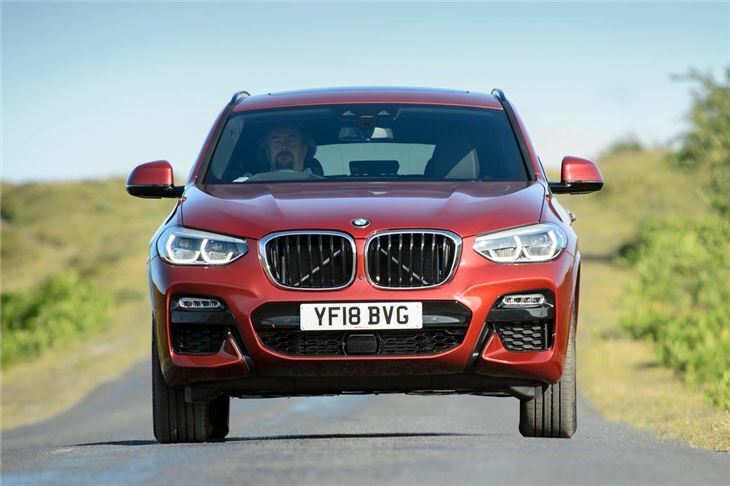 The X4 we're testing here is the 2.0-litre turbodiesel, the sensible choice in the range. It hits 62mph in 8.0 seconds and while it never feels fast, the torque provided by the diesel engines makes for a relaxing drive - even when you need to overtake or build up speed to join a motorway. There are more potent offerings should you feel the need. 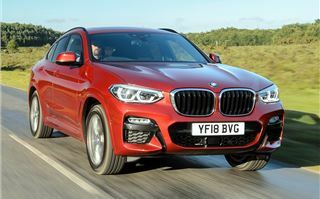 A six-cylinder 3.0-litre twin-turbocharged petrol badged the M40i tops the range, alongside the M40d which, on paper, combines impressive performance with economy. You’d be better catered for with the Macan should thrills be on your agenda, however the X4 rides well when fitted with the optional adaptive suspension of our test car. The gearbox, an eight-speed auto, is rarely caught out and you can always use the paddles should you want more control. 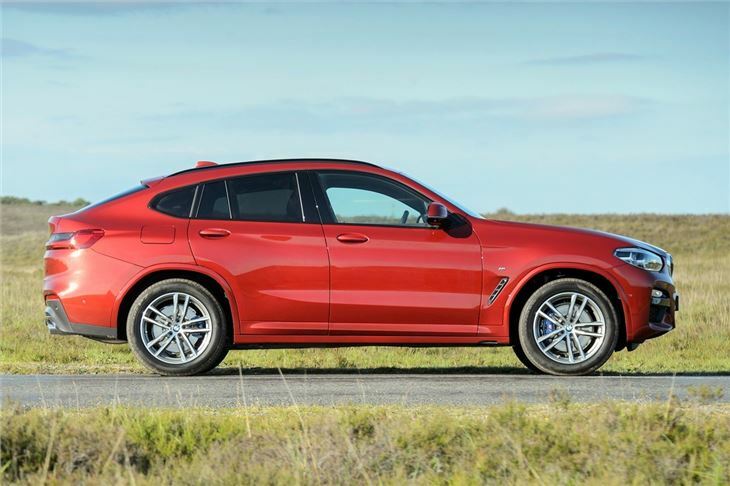 Are we blown away by the BMW X4? Not really. But that’s not to say it’s a bad car. The interior’s good, it drives very well and we doubt anyone who buys one will be disappointed. 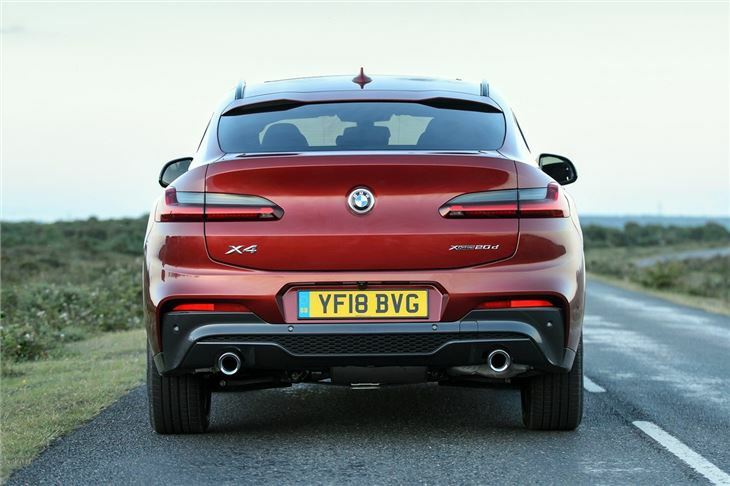 It’s just that we’d rather have a normal X3, while those genuinely wanting a sports car like SUV are better catered for with the Porsche Macan. 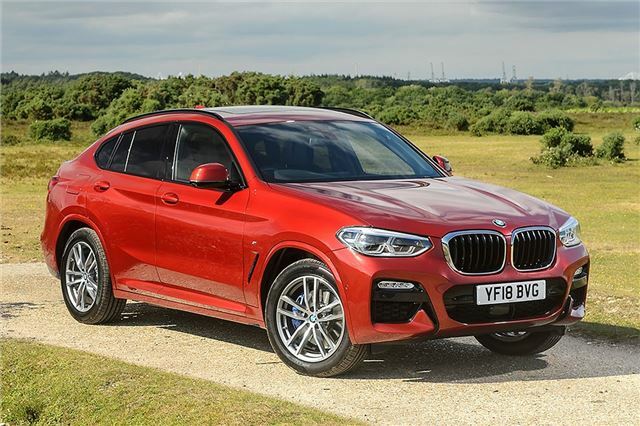 The X4 remains a niche model but, should that niche fufill your requirements, it's a perfectly good one. 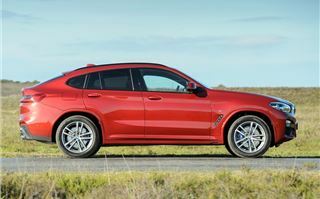 The 2018 BMW X4 is on sale now.